Now in its fourth year, the National Republican Short Story Competition is helping to build the emerging Australian republican fiction genre, says history editor Dr Glenn Davies. THE National Republican Short Story Competition is open again. Now in its fourth year the National Republican Short Story Competition has helped to build the emerging Australian republican fiction genre.The theme this year is 'defining Australian identity in a future Australian republic'. Short stories will speculate on Australian republican futures. They don't have to be political thrillers or constitutional whodunits as long as they are an exploration of our future, our republican future. The Republic of Letters emerged in France during the course of the 17th and early 18th centuries and was composed of French intellectuals from the Parisian salons who worked together to bring about concepts of philosophy, broadly conceived as the project of Enlightenment.The main way the philosophical ideas of the Enlightenment’s Republic of Letters were transported throughout France and across the Atlantic was through polite conversation and letter writing. It was their imagining of possibilities that helped to bring about change. We can’t achieve anything unless we imagine it first. Before every great invention and before every great journey is the idea. Without ideas and imagination, we are all trapped in the past. 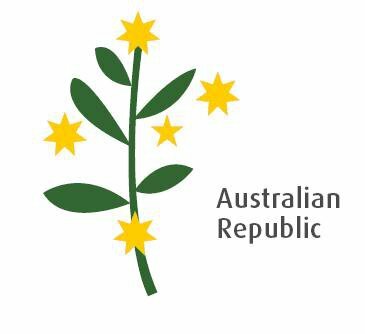 In 2009, the Australian Republican Movement used the example of the Republic of Letters to encourage political change in Australia through the establishment of the National Republican Short Story Competition. One way that change can begin is through speculative fiction writing. Speculative fiction writers deal with possibilities.They speculate. They make the future seem real. The National Republican Short Story Competition began in 2009. This was a milestone, as it had been 10 years on 6 November 2009 since the republican referendum was lost. To commemorate this event and to remind Australians what they still didn’t have the Australian Republican Movement ran the First National Republican Short Story Competitionas a challenge to Australia’s fiction writers to speculate on the possible futures of the Australian republic. He is not welcome in the great democracy. Nor have the governments of Canada, Northern Ireland, New Zealand or countries in the Caribbean, and Africa accepted him. Instead, nearly 50 years after they removed their titular monarch, the government of Australia agrees he and his family can settle their as private citizens. In this Australian republican future the robust egalitarian society of the south remains strong with sufficient generosity of spirit to embrace the remnants of Northern Hemisphere royalty — the last King of England and the newest citizen of Australia. In 2010, the theme for the Second National Republican Short Story Competition was ‘Life and Death in an Australian Republic’.Helen Berstenand Sean Oliver Ness were each awarded a ‘Highly Commended’ for their short stories Double Lives and Inauguration Day. In Double Lives, Bersten tells dual stories: one set during a Presidential meet’n greet where his new team of advisers, Team PC (People’s Choice), are getting to know each other. At the same time, a fictional crime story is being told about the night the Dunbar sank at South Head in Sydney Harbour. Double Lives is both imaginative and innovative. The attempt at a dual narrative – one commenting on the other, the past intruding into the present – is ambitious and difficult. The complicated structure makes a genuinely ambitious and credible effort to produce a fiction. It is a story that has the required republican provenance but which tries to do other things and go to other places, both physically and psychologically. When Hapeta breaks protocol and leaves his post to assist a ‘Statie’, the theme of ‘Life and Death in the Australian Republic’ emerges. The final scene is captured by a bystander with the photo becoming the defining memory of the day. In 2011 the theme for the Third National Republican Short Story Competition was 'Citizen or Subject'. First prize was awarded to Valda Marshall for A Child of the Holocaust, second prize to Richard Johnson for The King and Mister Crow and third prize to Harold MallyforRoyalty Reality. Marshall’s winning story is a touching description of the raising of the first president by immigrant parents, whereas the second and third prizes have either Prince William or Prince Harry as a main character. 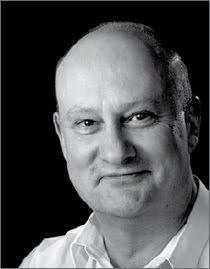 Marshall is a former journalist and TV writer who has worked in Sydney, Toronto (Canada) and New York. Her television writing credits include Neighbours, and Sons and Daughters. While working with Neighbours, Valda co-authored two books based on the Ramsay Street families: The Ramsays: A Family Divided and The Robinsons: A Family in Crisis. She has been a staunch republican since the 1950s. “I am an absolutely passionate republican,” she has commented. Her 2010 novel, The First President is a story of love and politics in which Australia becomes a republic in 2016. Valda was born in Adelaide and now lives in Sydney. It seems strange there is no tradition of republican speculative fiction in Australia. In colonial times there were republican poets such as Charles Harpur writing in the 1840s and 1850s, and republican writers such as John Dunmore Lang and Daniel Deniehy in the 1850s and William Lane, Henry Lawson and John Norton in the 1880s and 1890s. But where have been the republican stories for the past century? There have certainly been many republican writers during this time, but very few examples of where republican settings or arguments have been explored in Australian fiction. Republican arguments and explorations of the past and imaginations of the future have almost always been written within the framework of constitutional debates. So, the Australian Republican Movement would like to point the way forward through Australian stories with a republican backdrop. They don’t have to be political thrillers or constitutional whodunits as long as they are an exploration of our future, our republican future.